Kerala PSC has recognized qualifications equivalent to DCA (Duration of 6 months) for the post of Assistants in Secratariat, PSC and Local Fund Audit. The commision has decided to accept the suggestion of Technical Education Director. There will be two level of examinations followed by an interview. Preliminary examination which is of objective type is the qualification exam. The candidates who pass preliminary exam can write the main exam. Those who pass the main exam will be called for interview. There will be 100 objective type multiple choice questions for 100 marks. Duration of the exam will be 75 minutes. The Topics expected are General Knowledge, General English, Mental Ability, Reasoning and Arithmetic. Normally one who score around 60 marks will be qualified for the main exam. Secretariat Assistant Main Exam will be descriptive in nature. Duration is 2 and half hours. Topics are General Knowledge, General English, and Regional Language. Candidates should be graduates in any discipline including professional degrees. Candidates should also have passed 6 months Computer Course. Diploma in Computer Applications (DCA) is the recommended course for the Computer Proficiency. 3. Post Diploma in Software Engineering having 1 year duration from State Board of Technical Education (SBTE), Institute of Human Resource Development (IHRD). b) B.Tech (Information Technology) having 4 year duration from any University. 5) Diploma in Computer Application and Business Management (CABM) having 3 year duration from State Board of Technical Education (SBTE). f) BCom with Computer having 3 or 2 year duration for PG courses and 3 year duration for UG courses from Universities recognized by UGC. 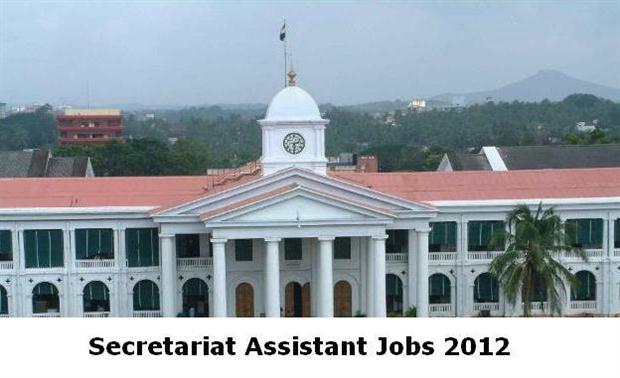 0 Response to "Kerala PSC Secretariat Assistant Exam 2012: Qualifications equivalent to DCA "